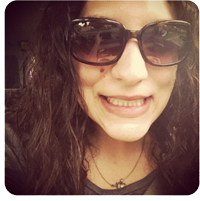 The Influenster Rose Voxbox Breakdown! 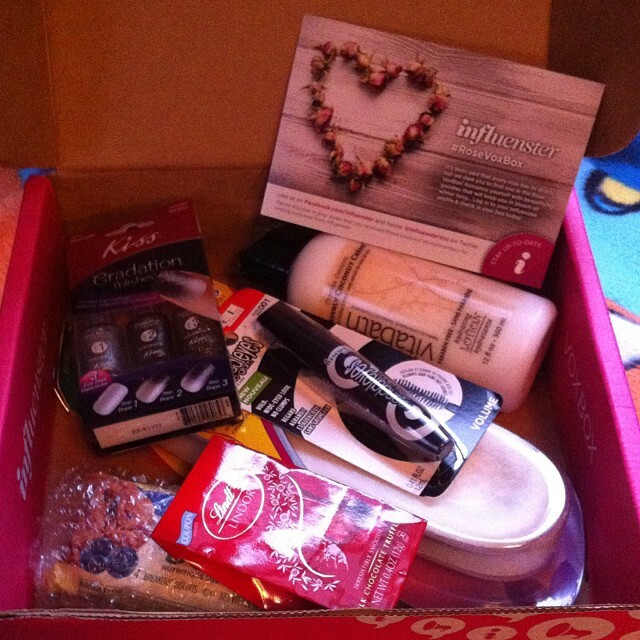 I was so excited to hear that I was on the list for another InfluensterÂ Voxbox! With the winter coming, it’s always fun to get something bright and exciting in the mail. Inside my Voxbox were the Dr. Scholls Cozy Cushions, Rimmel ScandalEYES mascara, Kiss Nail Art Gradient polish, A delicious Lindt Truffle, Belvita Blueberry Breakfast Biscuits, and Vitabath Lotion in Coconut for being a beauty blogger. I have to admit, it was pretty cool to know that the Vitabath lotion was an exclusive item. First off, I’ll tell you what I liked! It’s always fun to start with positive vibes, right? The Belvita Biscuits were one of my favorite products because I had fallen in love with these babies before this Voxbox even got to my doorstep. I received Blueberry and had only gotten the chance to purchase the Apples and Cinnamon beforehand. It was great! I typically don’t eat these for breakfast, but rather for that gap of time between lunch and dinner. They’re only 230 calories, so they are a heftier snack that keeps me happy. While we’re on the subject of food, I think it’s safe to say that my Lindt Truffle was equally delicious! I also fell in love with the Kiss Nail Art Gradient Polish set! I love everything black, grey, and glitter, so these colors were right up my alley. I will say that learning how to get the gradient right takes a bit of practice, but it’s well worth it. I did notice a line where the gradient should have been a little smoother, but for my first time, I’m happy with the results. Next time, I’ll use an extra coat of clear while the colors are still somewhat tacky to smooth out any ridges or lines. The whole process took me about a half hour, so leave yourself some dry time! Next up, the Rimmel Scandleyes Mascara found a nice cozy home in my train case. I loved this mascara, I loved the curved brush, and I loved how my eyes looked so bright and open. This is a top lash mascara only (at least for me!). The bottom lashes get too long and leave smudges. I also loved using the Vitabath lotion. It smells DELICIOUS, and it reminds me of summertime. I also use a product I fell in love with in February from a different Voxbox that has a sea scent. Between the sea scent and the coconut lotion, I was on an island of bliss. I also would like to mention that this lotion is great for after shaving. Now…for the things I didn’t love so much: The Dr. Scholl’s Cozy Cushions. This product was great for the first day. I wore them in my boots and they fit great. I cut them carefully to size and work them all day long. By the end of the day my feet hurt, but I figured it was just my body getting used to the insoles. The next day, my feet felt smushed and on fire from the heat. I don’t think they were right for the boots I have or perhaps the size of my feet? I probably won’t buy those again, but I was excited to try them out. Did you get a Rose Voxbox? If not, what about a Violet Voxbox? I received these products complimentary for testing purposesÂ fromÂ Influenster. All opinions are honest and my own! If you have any questions about these featured products please do not hesitate to e-mail me! That’s great that you liked most of your products. I got the Maple VoxBox and haven’t been liking most of the items. I’m jealous that you got lindors! They’re my favorite chocolates. I’ve never heard of Voxbox before. I checked out Influenster and it looks really interesting though. I’ll have to sign up. That nail polish looks so cute! I heart Influenster, even though I haven’t received a VoxBox since the Mary Kay one. Of course, I have yet to blog about it…maybe I should do that this coming week. I love Lindors – they are so yum! I always have to buy them individually, otherwise I’d gain weight like crazy. I’ve never tried any Rimmel mascara, and I hardly ever paint my nails. I bite them way too much to even bother. However, I am glad that you liked the products that you received. The nails look interesting! I received green nail polish in my Violet Voxbox, and I qualified for a Christmas Voxbox, so I’ll get another soon (and will actually blog about that one).